Join Us!!! We are looking for someone to help us cover Dominican Rep. basketball. Please send us an e-mail. SG Bergishe Loewen (Germany) agreed terms with experienced 35-year old international swingman Jermaine Barnes (193-G/F-83, college: Point, GA) . Barnes just played at Tonga NT in the Copa Mitchell Cup (Dominican Republic). In five games he had very impressive stats: Score-5 (19.5ppg), 7.5rpg, Assists-1 (6.5apg), 2.3spg and 1.0bpg this season. This season he played at SG Bergishe Loewen (Germany) where in 17 games he recorded also remarkable stats: 27.0ppg, 8.0rpg and 5.0apg. Barnes' team won Mitchell Americas Cup for five years in a row (between 2015 and 2019). He was voted Latinbasket.com All-Mitchell Americas Cup 1st Team in 2017, 2018 and 2019. Barnes also represented Lebanon at the Liga Mediterranean Cup of Championship in Spain last year. He was named EuroBasket.com All-Liga Mediterranean Cup Player of the Year : Score-1 (32.0ppg), Reb-4 (7.3rpg), Assists-4 (4.0apg), 1.0spg, FGP: 55.4%, 3FG: 3- (40.8%), FT: 70.0%. In 2014 he joined the Minnesota Timberwolves with a non Guaranteed contract. He would later be cut after workout. Barnes retired shortly after due to knee surgeries. Barnes is quite experienced player. His career allowed him to visit four different continents, while he played in thirteen different countries. Barnes tasted the life as pro basketball player in Europe, Asia, Latin America and of course North America. He has played previously professionally in Costa Rica (Liberia), Cyprus (Yenicami), Dominican Rep. (Pueblo Nuevo), Japan (Saitama), Lebanon (Chabibeh Sporting Club), Mexico (Frayles de Guasave), Saudi Arabia (Al Ahli Jeddah), Taiwan (USA NT), Uruguay (Universitario), NBA (Minnesota Timberwolves), Dominican Republic (Pueblo Nuevo), UBA (GIE Maile Matrix) and Spain (Boet). It's very possible he may end his playing career in Germany. Barnes is a former Eurobasket Summer League player, which is considered top summer league for players who want to play basketball overseas. He attended Point University, GA until 2006 and it is his 13th (hopefully lucky) (!!!) season as a professional player. On Barnes: Jermaine Barnes is a great scorer... Can play the 2-3... A very athletic and physical player that finishes Above the Rim on anyone... Great mid range shot... A great rebounder with great size to dominate smaller guards and forwards... Named National Player of the Year in 2006... Also 1st Team All-American and SWC Player of the Year... Was the nations top scorer (26.7) and 3rd in rebounds (11.9). Set the Emperors Cup All-Japan Tournament scoring record with 63 point vs. Toyama Grouses...In 2011 Barnes was named Usbasket.com All-United States Guard of the Year along with being spotlighted in SLAM Magazine......2014 Barnes was named the Decades Top Guard by Usbasket.com. Signed a Non Guaranteed NBA Contract with the Minnesota Timberwolves. Was waived at training camp. 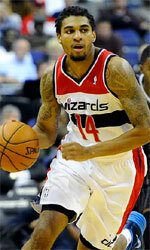 Al-Ahli (Premier League) added to their roster 28-year old American swingman Glen Rice Jr. (198-93kg-91, college: Georgia Tech) to play with the team in Arab Gulf Championship. He just played at Plaza in Santiago League in Dominican Republic. Rice Jr. managed to play in three leagues in two countries last year. In only one Santiago League game he recorded very impressive stats: 23 points, 10 rebounds, 8 assists and 1 block this season. Part of this season he spent at Instituto (La Liga) in Argentinian league where in 5 Santiago League games he averaged 13.0ppg, 3.4rpg, 1.6apg and 1.4spg. Rice also spent pre-season at Aaguacateros (LNBP) in Mexican league. In four LNBP games he had also remarkable stats: 24.3ppg, 6.3rpg, 4.5apg and 2.5spg. In 2012 he was drafted by Rio Grande Valley Vipers (D-League) in fourth round (55th overall). The former Georgia Tech staris in his seventh season in pro basketball. 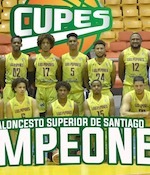 The list of the past achievements is quite long as among others he won Dominican Rep. LNB championship title in 2018. Rice was also voted Latinbasket.com All-Mexican CIBACOPA Player of the Year and Latinbasket.com All-Mexican CIBACOPA Import Player of the Year in 2017. He is quite experienced player. Thanks to Rice's pro career he managed to play on four different continents (Europe, Asia, Latin America and of course North America) in nine different countries. Rice has played previously professionally in Israel (Hapoel Holon), Philippines (TNT Ka Tropa), Puerto Rico (Humacao), NBA (Washington Wizards), Mexico (Halcones de Ciudad Obregon), NBA G League (Fort Wayne Mad Ants), El Salvador (Halcones) and UBA (Georgia Spartans). The scouts decsribe him following way: Wing player who is characterized as a "point-forward" … Excellent feel for the game learned from being around the game and his ultra-successful father from an early age … Has good court vision and an improving jump shot … Long arms allows him to get his hands on lots of balls defensively for steals and blocks.